We don't do it alone! 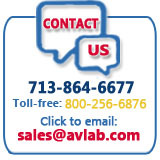 Aviation Laboratories has partnered with these high quality, reliable distributors to get AvLab brand products out to you, our customer. Learn more about our strategic partnerships with the following reputable companies. Purolator Facet, Inc. is a division of Clarcor. Purolator is a name synonymous with quality filtration throughout the world and is a creative engineering and manufacturing organization offering fluid mechanics and porous media technology to address specific needs for the aviation industry. Aviation Laboratories counts on their superior filtration line to offer our customers for their filtration needs. Aviall is headquartered in Dallas, Texas. As one of the world's largest providers of new aviation parts and related aftermarket operations, Aviall markets and distributes products for more than 235 manufacturers, including Aviation Laboratories, and offers approximately 2,000,000 catalog items from 40 customer service centers located in North America, Europe, and Asia-Pacific. Landmark Aviation is committed to exceeding the standards in business aviation services. With 52 locations in the U.S., Canada and Western Europe, Landmark is one of the nation's largest FBO networks. Landmark's extensive network of full-service facilities offers a wide variety of amenities and services, guaranteeing both comfort and convenience. Williams International is the world leader in the development, manufacture and support of small gas turbine engines. Aviation Laboratories is one of two authorized laboratory service providers for Wililams, offering oil filter debris analysis under their “Total Assurance Program” (TAP). Adams Aviation is Europe’s largest distributor of parts and accessories for general and business aviation. The partnership between Adams Aviation and Aviation Laboratories brings innovative products and technical expertise through lab services to the Adams product range. Contact mail@adamsaviation.com for more information. Sporty's, the world's largest pilot shop, has been offering high quality aviation products and supplies for more than 50 years. Their collective experience as pilots, educators, airport managers, and aviation advocates affords the Sporty's staff a unique qualification to provide only the products and services that are the best value to our customers. Aircraft Spruce & Specialty Company carries everything a pilot could need, including pilot supplies and aircraft parts, always at the lowest prices. Aircraft Spruce supplies components for a wide variety of home-built aircraft including the Lancair, Vans Aircraft, Cozy, Starduster and Europa, as well as factory built parts for Cessna, Piper, Beech, and Mooney. For airplane parts and pilot supplies, Aircraft Spruce is the leading aviation supply house in the world and our choice as a dependable distributing/distributor partner. Tucker Rocky sells Aviation Laboratories' Clear View to its distributors in the motorcycle and ATV markets. Tucker Rocky's relentless commitment to their dealer partners is the reason they are a leading distributor of motorcycle and ATV aftermarket parts, accessories and apparel. They offer tens of thousands of products from the finest brands for street, custom, touring and off-road motorcycles as well as ATV's and UTV's.